This is an insanely HOT deal. 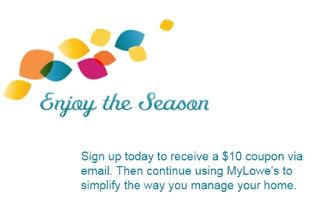 Sign up for a free MyLowe's Account and you will receive a coupon for $10 off a purchase. The coupon should show up in your inbox 24-48 hours after signing up.